The “SMILF” actress has confirmed speculation that she and girlfriend Elizabeth Rooney are headed for the altar, but she assured fans that they’re in no rush to make things official. Rumors that the couple had taken things to the next level sparked earlier this month, when Elizabeth tellingly added a (now-deleted) letter “R” and a diamond ring emoji to her Instagram bio. At the time, Rosie’s rep confirmed to Access that she and the 33-year-old Massachusetts police officer were an item but declined to specify if they were engaged. 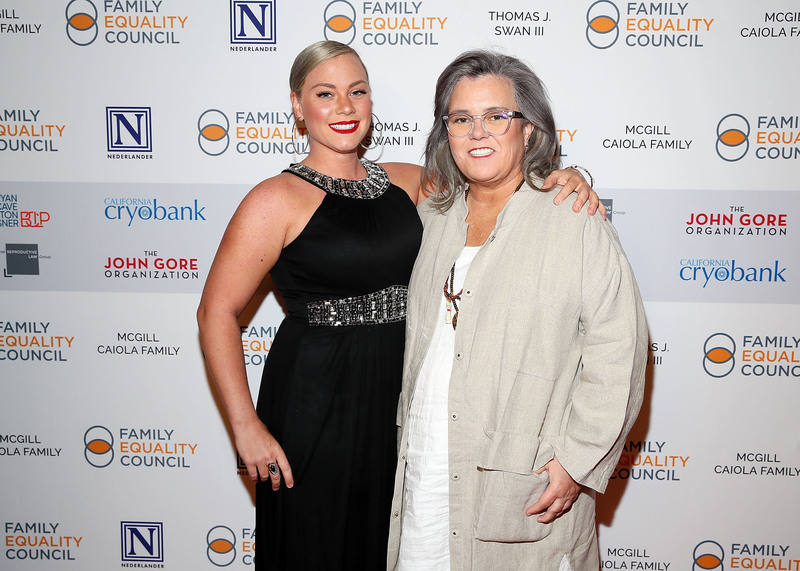 “She’s very much an equal, she’s very much her own person and loves what she does,” Rosie dished to the mag. “She’s a pretty unbelievable young woman. Despite the miles between them – Rosie lives in New York City, while Elizabeth lives in Boston – and their 23-year age gap, their strong connection hasn’t wavered. Rosie has been married twice previously — first to Kelli Carpenter, and second to the late Michelle Rounds, who died of an apparent suicide in 2017. When asked by Howard Stern last November about her thoughts on tying the knot once more, the 56-year-old – who was dating Elizabeth at the time – rejected the idea. Clearly, Rosie has changed her tune! Congrats to the happy couple!